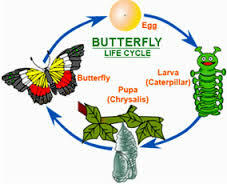 If one is a Butterfly today, what was the Pupa stage like? In a marriage everyone says that a person changes after marriage – man or woman. The courting time is NOT the same as life after marriage. When issues arise, there are communication issues, therapy sessions, maybe friends and family, and if there is LOVE somehow things work out or one breaks-up. It is safe to say it is in our human behavior that we all are inherently displaying and placing our best foot forward during courting and once the deal is done maybe we start taking the other person for granted OR are distracted OR were LIED to or CHEATED or FRAUDED. As individuals, we all have our issues to deal with but communication is KEY. In that, truth is KEY. In that, LOVE PROSPERS. When a fraud intersex marriage begins to unravel, it has disastrous consequences at ALL levels if there were LIES. There are a lot of intersex people who are HONEST about their situation with the person they claim to LOVE and it often works out amicably. So the issue is NOT intersex, the issue is honesty and trust and love. When those things CHANGE in any marriage, how can it survive? In an intersex marriage in 2000s, there is the added burden of dealing with the LACK of LAWS. There are lot of intersex people who had the surgery either BEFORE marriage while their parents were the caregivers or never had the surgery. So the issue of a “spouse caregiver” does NOT arise. Then there are the facts we have to consider. There is scientific evidence that people with Complete Androgen Insensitivity Syndrome (CAIS) have male testes. The medical community often recommends a surgery to remove the male testes (which has since been determined as unnecessary and as torture) and go on a Hormone Replacement Therapy. The medical treatment causes depression, irritability, wild mood swings, severe trauma among other things. This is what is REPORTED in medical literature. The medical community uses a concealment based approach to systematically LIE and create fraud medical documents. 1) The issue is NOT whether a CAIS person has testes or ovaries, the issue is LYING. Because of the LIES, it takes away the RIGHTS of the spouse caregiver. What about the violence, the abuse, the threats during this transition phase? By denying the TRUTH, the abuse and trauma are CONTINUED on the unsuspecting, victim spouse caregiver of intersex. 2) The issue is NOT whether a CAIS person has testes or ovaries, the issue is DENIAL of TRUTH. What about the FACT that the father was the PRIMARY CARE PROVIDER for the IVF child because the intersex person was under medical treatment? What about the inseparable BOND and love that a son had with his father because he was his primary care provider in silence despite the “conventional stereotypes” against males. Was it a MISTAKE to show compassion and stay quiet and have the silence and humility USED against you or worse, against innocent brother and sister? 3) The issue is NOT whether a CAIS person has testes or ovaries, the issue is the LAW relies on documents and what do you do with a FRAUD MEDICAL DOCUMENT in court? If an intersex person chooses to DENY themselves the TRUTH and continues to LIE, they are cheating themselves the MOST. Their LIES are hurting so many other LIVES. 4) The issue is NOT whether a CAIS person has testes or ovaries, the fraud medical records have unintended consequences on innocent children including ABUSE. 5) The issue is NOT whether a CAIS person has testes or ovaries, most insurances do NOT cover the surgery and is an out of pocket expense for intersex patients and families. Without TRUTH and awareness, how can we get insurance benefits for other intersex people and families or do we continue a pattern and trend of fraud and lying? 6) The issue is NOT whether a CAIS person has testes or ovaries, the issue is DENIAL. The first step for any solution is acceptance. How can we ever get to any solution for the children if we LIVE IN DENIAL? Instead, one continues to repeat a thousand lies to hide one lie and continuing to HURT and ABUSE more people. Are SIBLINGS important? It is absolutely very traumatic for a CAIS person to go through the unnecessary surgery and then go on HRT. And that too during a marriage to a spouse they LIED to about their situation. If the trauma was NOT enough, it would only make the trauma MORE because of the guilt or may be not if they are seasoned to lying. Is there any trauma for the spouse caregiver of intersex? Or is the spouse caregiver AT FAULT to be married to an intersex person and wanting to help? A person CHANGES in every way possible as they work through this transition – mentally, physically, physiologically, emotionally, spiritually. Any one of these changes has a profound EFFECT in any marriage. Notice we are leaving intimacy out of it. Now imagine ALL these CHANGES occurring at the SAME TIME in a marriage, it is certainly MORE than a FULL CUP of CHANGE. It is often sprinkled with violence, abuse, emotional out bursts, guilt, threats, irritability, and so on. As time goes on, the stabilization occurs AND the person has CHANGED. Worse, it happened in secrecy and silence. Did anyone pay a PRICE for the CHANGE? The person whom you knew BEFORE the marriage has CHANGED – nothing new for most marriages. The person whom you became a spouse caregiver for has CHANGED – there are lot of spouse caregivers too. The person for whom you gave up higher education, career, better part of 30s, respected their privacy and secrecy, living in a world of 6 billion BUT living LONELY in secrecy due to the TRANSITION has CHANGED – now we are getting into the “minority region”. Over time, the medical treatment has stabilized and maybe even CHANGED for the better. If the person is a butterfly today, a spouse caregiver of intersex and his IVF child have experienced and seen the WORST pupa stage in silence. Who was the PRIMARY CARE PROVIDER for the IVF child during this traumatic transition and ongoing medical treatment? It is an experience that stays with you for a lifetime. As traumatic as miscarriages are to a mother, one can NEVER forget. One tries to live and move on and maybe even are blessed with other children but the MISCARRIAGE and its experience are ALWAYS a part of you. Our life is a SUM of our experiences. So please do NOT placate by suggesting cliche statements like “past is past”, “move on”, etc. Unless you have experienced the transition of your spouse in every way imaginable way and discovering the LIES, you have no CLUE what that is. That experience has made a STRONGER person of the caregiver, why FORGET? So if the person has stabilized, if they have CHANGED for the better, what is the issue? The issue is LIES that involve breaking the laws. The issue is the continued LIES to SPLIT innocent brother and sister. By showing a fraud medical record of having a “removal of ovaries” surgery DOES NOT change the facts. First it shows that the intersex person is still in DENIAL and one has to deal with the multitude of issues for themselves. Second, it DENIES the RIGHTS of others like the innocent IVF brother and sister and the spouse caregiver. Its as if their life of abuse, lies, pain, suffering, trauma, victimization NEVER happened. It takes away the basic human dignity of a person to speak the TRUTH. Third, CAIS is naturally occurring meaning there will still be OTHERS born with it who will ALSO have male testes. How will the LYING or FRAUD medical records HELP them? Isn’t it better to say the TRUTH and empower them with the TRUTH? Chaos Theory and Butterfly Effect – As the theory goes that a butterfly flapping its wings in China can cause weather systems in the US. What do years of secrecy, lies and breaking laws do to an unsuspecting, innocent family who are SPLIT with two IVF children on two different continents and are NOT allowed to meet? Is it fair to say that the lingering effects of being part of an intersex family and the lack of laws to address the issues of an intersex family are with them for a lifetime? The irony is that the LIES of the medical community have traumatized and devastated several intersex children unnecessarily. The REAL culprit being secrecy and stigma. Now the SAME LIES are traumatizing and devastating the innocent childhoods of an IVF brother and sister. What have the LIES accomplished? They have placed the innocent IVF children in LEGAL LIMBO. Should we repeat history and DENY them their RIGHTS TOO like denial of rights for intersex? The lesson learnt is that intersex or IVF is NOT the culprit. The LACK of LAWS due to secrecy, lying and lack of awareness is. So NO MORE lying, truth begins. The journey may be long, tedious, lot of opposition, against conventional wisdom with the ongoing LGBTI movements, BUT then again what is “conventional” about this case? Change is constant, change is inevitable just like TRUTH. 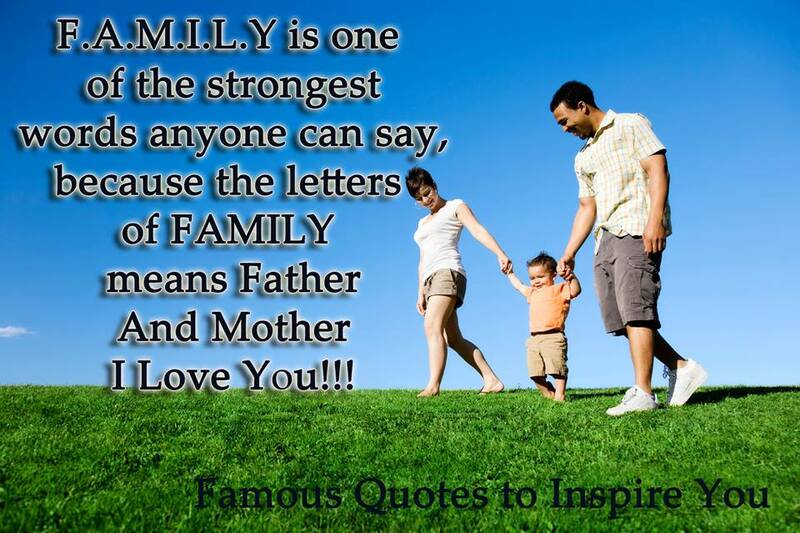 Does a “F.A.M.I.L.Y” when two genetic males are parents have same rights? Are their equal rights for gay families? Intersex families are different than gay families BUT from a legal perspective they are treated the same including immigration and marriage rights and thus rights of innocent children and siblings. If intersex family rights existed, two innocent, voiceless IVF children -brother and sister would be growing up together. If intersex family rights existed, a victimized IVF father would NOT have to face the IVF Holocaust (a thorough destruction) of picking between two children. If intersex family rights existed, all daughters and sons would be EQUAL and not made STATELESS. If intersex family rights existed, a traumatized IVF father would not have to choose between ADOPTION, ABANDON or raise his IVF daughter in EXILE. What would you do? If intersex family rights existed, an IVF son would still be continuing to enjoy his life with his IVF father and vice versa. If intersex family rights existed, an IVF brother could have his dreams come true of wanting a sibling. An IVF brother could enjoy “tea-time” with his loving IVF sister, play hide and seek and enjoy voices of laughter crackling together, teach alphabets and numbers to each other, jive to the favorite music and songs, dance like its 2113 (maybe equal IVF child rights by then?) but above all learn to hug and kiss and have a sibling bond that ONLY siblings can share. If intersex family rights existed, there would be NO need for a spouse caregiver of intersex to ask for his rights or his children’s rights. Only through education and spreading awareness can we get rights. If intersex family rights existed, domestic violence and abuse against spouse caregiver and children would be accounted for. If intersex family rights existed, medical professionals would have NO need to create fraud medical records, a crime. If intersex family rights existed, what about the torture perpetrated on an intersex family before 2013, the year when UN Special Rapporteur on Torture called for a STOP on coerced intersex surgeries. If intersex family rights existed, there would be NO forced silence and there would be NO FORCE to LIE and live in SECRET. When an individual tries to give human rights to someone where laws itself falls short, what is the outcome? Should other humans including innocent, voiceless children also be punished? Sometimes in life when we start our journey there are things we experience which we never envision. For the sake of children, it is important to speak up now and secure EQUAL rights for IVF children and families, EQUAL rights for intersex. The difference between the journey in SILENCE Vs TRUTH is the goals and objectives are well established.